Being a solo developer it is too easy to arrange things in such a way that only works on your development machine. You don’t have a team to warn you that it doesn’t work outside your development machine. Even if you change your development machine to a new one from time to time, or use two development computers, you use the same username and tend to install and configure the software in the same way. My Visual Studio solution and some projects were born in the year 2002, with the first Visual Studio .NET. At that time Team Foundation Server, NuGet, MSBuild, etc. didn’t even exist on paper. I have all the Visual Studio versions and VS SDKs from 2005 to 2017 installed on my development machine. That causes that you don’t think carefully where a DLL is referenced from. 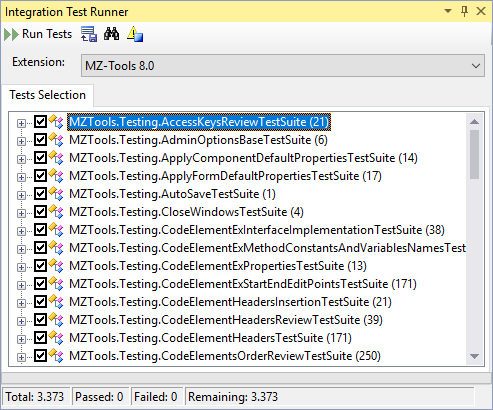 I have also all the .NET Frameworks and SDKs from .NET Framework 2.0 installed on my development machine. Another source for undocumented hidden dependencies. One project that uses .NET Framework 2.0 and C# for the core plug-in, that is reused at binary level for many Microsoft’s IDEs. 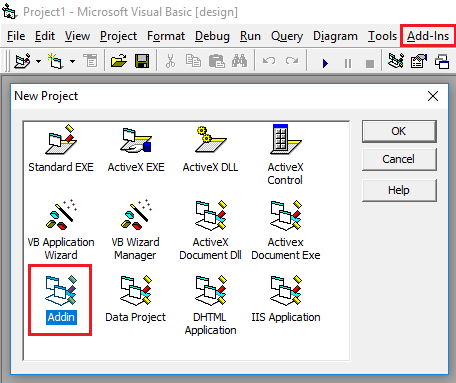 Four projects with host adapters for Visual Studio (2005, 2008, 2010) as add-in, VBA (Microsoft Office 2000 or higher, even on Windows XP), VB 6.0 and VB 5.0, using .NET Framework 2.0, C# and 3rd party tool for the setups. One project with a host adapter for Visual Studio (2012, 2013, 2015 and 2017) as package, using .NET Framework 4.5, C#, and VSIX. Four projects with COM Shims for VBA (32-bit and 64-bit), VB 6.0 and VB 5.0 using Visual C++, ATL, Windows 8.1 SDK and the .NET CLR loader APIs. One project for a portable version for VBA, using .NET Framework 2.0 and C#. Help file and online help generated by a 3rd party tool. 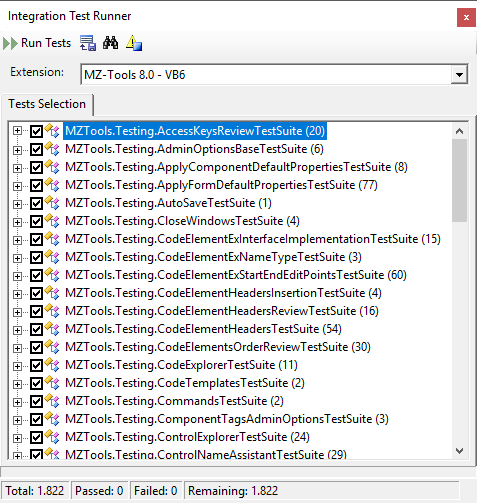 Two projects with integration tests. Obfuscation performed by a 3rd party tool, that requires delay signing. Would your solution build on a computer with only Visual Studio 2017 installed? Or are you referencing inadvertently DLLs that exist on your machine only because you have old Visual Studio versions or VS SDKs installed? Do you know the minimal workloads and individual components of the new Visual Studio 2017 setup that your solution requires to build? A challenging one that will require a new post: would it build on a build server with only the Build Tools 2017 installed but without Visual Studio 2017 installed? 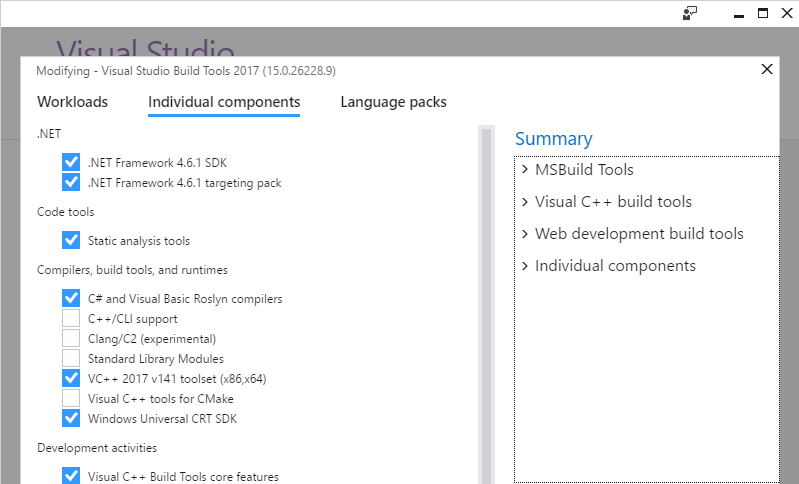 The Build Tools 2017 “allow you to build native and managed MSBuild-based applications without requiring the Visual Studio IDE. There are options to install the Visual C++ compilers and libraries, MFC, ATL, and C++/CLI support“. Blog here, video here, download here. Which individual components or external setups would it require? Do you have all the answers to those questions documented? Gated check-ins to prevent code that breaks the build. Gated check-ins to prevent code that violates code analysis rules. Integration tests. 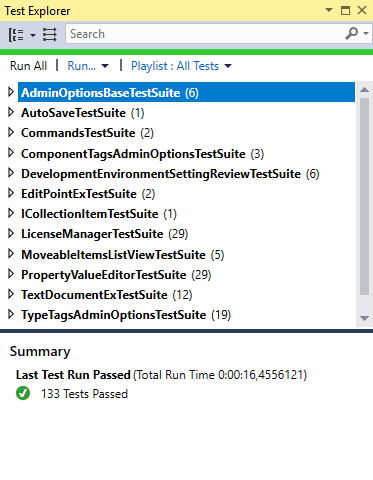 This will require a major effort because I use my own test runner and testing framework instead of Visual Studio Test with the MSTest framework. Tracking of releases deployed to the test environment, to the pre-production environment and to the production environment. For these purposes I decided that I would use a new “Build” configuration of the solution for the Build server. In this configuration the obfuscation, help file and online help, setups, etc. are not created. 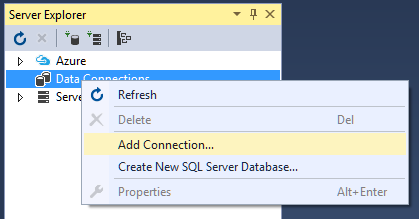 For the Release server I would use the “Release” solution configuration that performs all those additional steps. For the Build server it is quite easy and I can use the hosted agent of Visual Studio Team Services since I don’t need any 3rd party tools. For the Release server I cannot use the hosted agent because I need the 3rd party tools that I use to obfuscate, create the help, setups, etc. In the process I have also removed the need for admin rights that my custom builder required previously (the hosted agent of Visual Studio Team Services doesn’t allow admin rights either). Migrate the custom .NET-based builder to a MSBuild script. This took me weeks but it’s done. The solution and projects, when built in “Release” configuration, would auto-increment version numbers and would obfuscate the output assemblies, build the help, setups, etc. with their own MSBuild targets without requiring external steps. A master MSBuild script would perform some additional steps before building the solution (such as creating a workspace, getting latest files, restoring NuGet packages, etc.) and some other steps afterwards (such as publishing and archiving binaries). Build on a separate workspace on my development machine. Previously I was building on the same workspace used for development. I know, I know, a horrible bad practice. Create a separate temporary virtual machine to act as Release server with only Visual Studio 2017 Community edition installed, without previous Visual Studio versions to identify missing dependencies and build with the master MSBuild script. 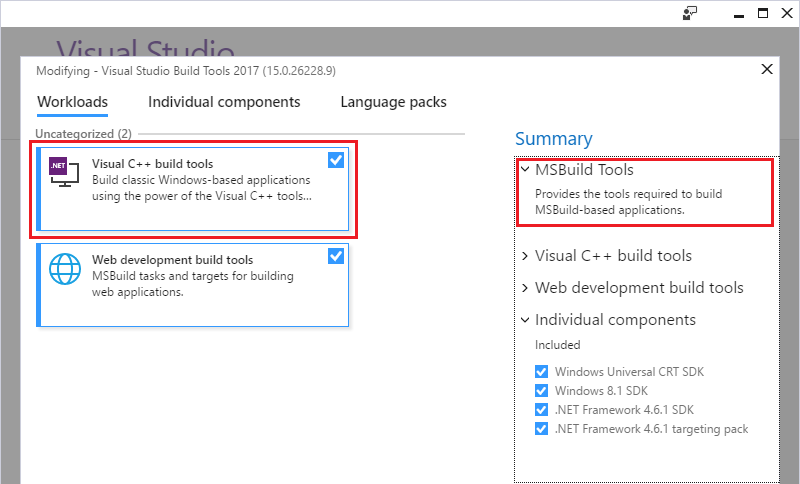 Discard the virtual machine of the previous step and create a new virtual machine with the Build Tools 2017 but without Visual Studio 2017, identify and install missing dependencies, build with the master MSBuild script and document everything. I have reached this point! 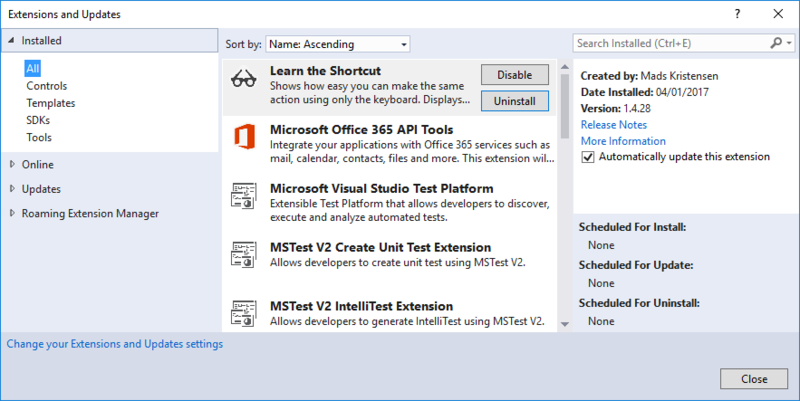 Install a private Visual Studio Team Services agent on the virtual machine that acts as Release server and launch the master build script from the Release management section of Visual Studio Team Services. Create additional scripts to publish binaries to the pre-production and production environment rather than using manual FTP. Repeat everything with the solution for my ASP.NET web site. I encourage you to follow the same journey if you are a solo developer (and of course if you are a team). At the very least, the exercise of building on a separate build server with only Build Tools 2017 will unhide you hardcoded paths, references that are not provided by source control or supplied as NuGet packages, etc. Microsoft now working on conditional payloads for VSIX. And for VS 2017 service release!. This request tries to solve a problem that is increasingly tricky: while Microsoft (or developers that work within Microsoft) release a new extension for each new Visual Studio version, most of us want desperately to update our existing extensions to support multiple versions of Visual Studio. Ideally we would like to have a single package DLL that targets many Visual Studio versions, but if you want to use the latest extensibility APIs, then most of the time you are forced to add references that demand a new package DLL because those references don’t exist on old versions of Visual Studio. But yet, we would like to ship those different package DLLs in the same unified VSIX file, so that for some versions of Visual Studio the VSIX file deploys a package DLL, and for other versions of Visual Studio the VSIX file deploys a different package DLL. Even you may want to deploy different .pkgdef files, as I explained in the request. And nowadays, with the release of Visual Studio 2017 and its manifest “v3”, we would like even different manifests (“v1” for Visual Studio 2010, “v3” for Visual Studio 2012-2017) within the same VSIX, which would solve the most common question on the forums these days: “How can I make a single VSIX that targets Visual Studio 2010-2017?” (sorry, you can’t). Today, I have received an update from UserVoice indicating that Microsoft is now working on it, and that it will be “for a future servicing release of Visual Studio 2017”. Big news!!! Visual Studio merges later and redirects at run-time HKEY_LOCAL_MACHINE\SOFTWARE\WOW6432Node\Microsoft\VisualStudio\<version> to HKEY_CURRENT_USER\SOFTWARE\Microsoft\VisualStudio\<version>_Config, but that’s transparent for the tool. Since Visual Studio 2017 uses its own private Registry hive (see the Change: Reduce registry impact > Visual Studio registry section of Changes in Visual Studio 2017 extensibility) instead of the Registry entries similar to the ones used by older Visual Studio versions, the previous approach is no longer valid. 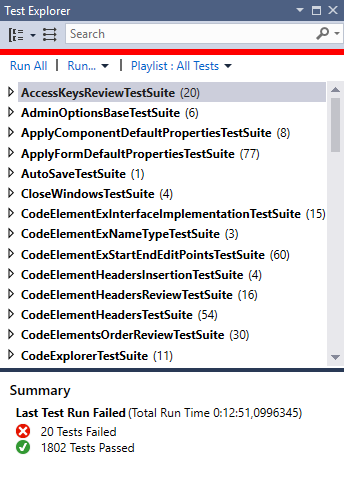 If the setup of a DDEX provider uses RegLoadAppKey to create entries in that private Registry hive, Visual Studio could wipe out them later when it needs to generate its private Registry hive from .pkgdef files. So, for Visual Studio 2017, the only way is to use .pkgdef files, as explained next. C:\Program Files (x86)\Microsoft Visual Studio 14.0\Common7\IDE\Extensions\Oracle\MySQL for Visual Studio\1.2.6. 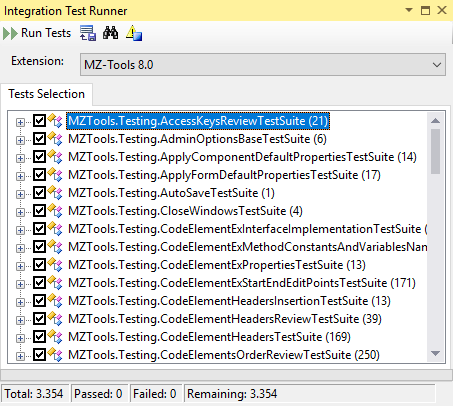 Visual Studio 2010 only supports manifests with version 1.0. 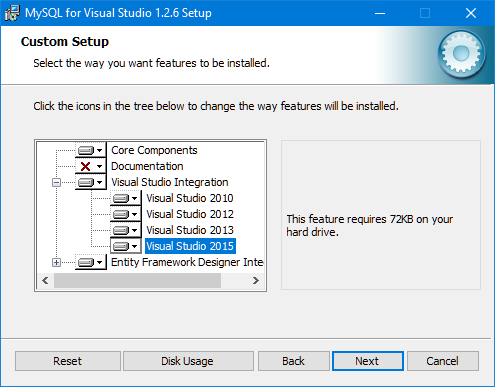 Version 2.0 was introduced by Visual Studio 2012, and it is not backwards compatible, so Visual Studio 2010 doesn’t support it. 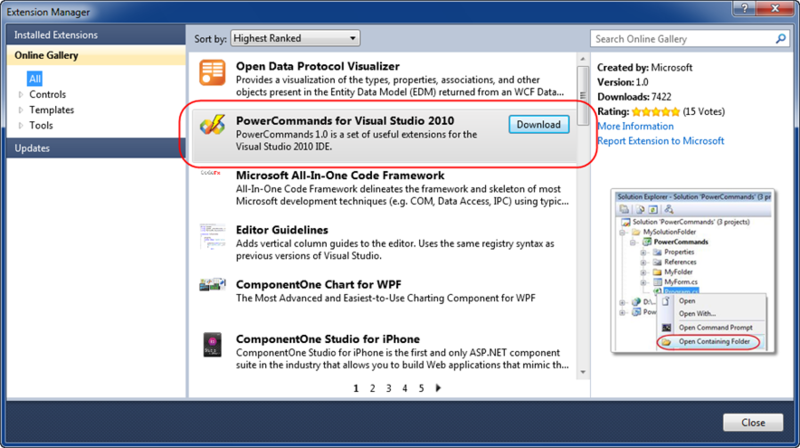 While Visual Studio 2012, 2013 and 2015 support manifests with version 2.0, they also support manifests with version 1.0. So a single .vsix can target Visual Studio 2010, 2012, 2013 and 2015. Visual Studio 2017 doesn’t support manifests with version 1.0. So, it is not possible to have a single .vsix for Visual Studio 2010, 2012, 2013, 2015 and 2017. Instead, Visual Studio 2017 requires a manifest with version 3.0. Fortunately, version 3.0 is backwards compatible with version 2.0 (version 3.0 adds a Xml entry that is only recognized by Visual Studio 2017 and ignored by previous versions. See section Changes Affecting VSIX Format and Installation). So, a single .vsix can target Visual Studio 2012, 2013, 2015 and 2017. 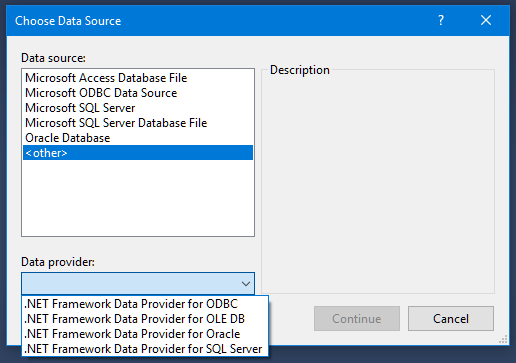 The bottom line is that two installers will be required for MySQL to target the last five versions of Visual Studio 2010-2017. It’s a pity that Oracle hasn’t used the previous months to make all these changes, frustrating its users. Visual Studio turns 20, and its extensibility too! Visual Studio is celebrating its 20th anniversary these days! Twenty years ago Visual Studio 97 was launched and on March 7 Visual Studio 2017 RTM has been released in a livestreamed two-day launch event at https://launch.visualstudio.com. You can share your story with Visual Studio with the hashtag #MyVSStory. 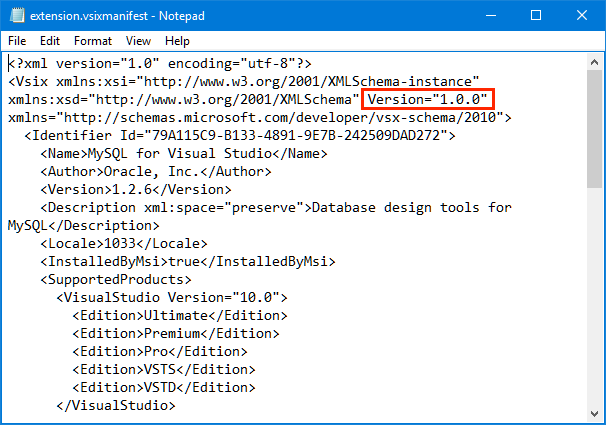 Only one year later, Visual Studio 6.0 was released with VB 6.0, that offered a very similar extensibility model. Next year, my company hired a contractor to develop an add-in to review the quality of the source code of our applications. These days of Visual Studio Code Analysis (FxCop), Roslyn analyzers, SonarLint, and tons of similar extensions we take this for granted, but in 1998 there was nothing. The contractor did a good job, but after he left I felt that I could improve the add-in, so I learned the extensibility model of VB6 and I fell in love again :-). I ended developing my own add-in with new features that I released as freeware on the web. During almost three years, from 1998 to 2001, Microsoft didn’t release a new Visual Studio, and for a good reason. The .NET Framework initiative was announced in 2001, and finally in February 2002 a brand new Visual Studio .NET was released, a unified IDE for VB.NET, Visual C++, a new language C#, etc. I learned .NET during 2002 (I fell in love again…) and the new automation model (EnvDTE) provided by the new IDE, that was completely different to the one of VB6 but inherited some strange details such as collections starting at 1 and not at 0. Visual Studio .NET 2002 provided add-ins, templates, wizards, and a new extensibility mechanism named Macros that allowed to record or to code by hand procedures to execute repetitive actions. But it didn’t provide support to create packages, nor a SDK. From the extensibility point of view, it had some oversights, such as requiring add-ins to be COM components (and therefore using COM Interop if written in a managed language instead of C++) and requiring a COM Shim (an ActiveX control developed in C++) to host managed toolwindows (and the provided COM shim had lots of problems with the tab key navigation, etc.). Only 14 months later, in April 2003, Microsoft released Visual Studio .NET 2003, which introduced for the first time VSIP (Visual Studio Integration Program), a kind of SDK (not named as such yet) to develop native packages in C++. Later a VSIP Extras was released to use manage languages (C# at least). Two years later Visual Studio 2005 was released, which was a great release. It introduced .NET Framework 2.0, MSBuild, and important novelties in the extensibility area: it provided a proper VS 2005 SDK for the first time, it allowed to develop packages in managed languages using the Managed Package Framework (MPF), it allowed XML-based add-ins (using an .AddIn file instead of COM-registration), it didn’t require COM shims for toolwindows, and it was gorgeous with its 24-bit color toolbars. 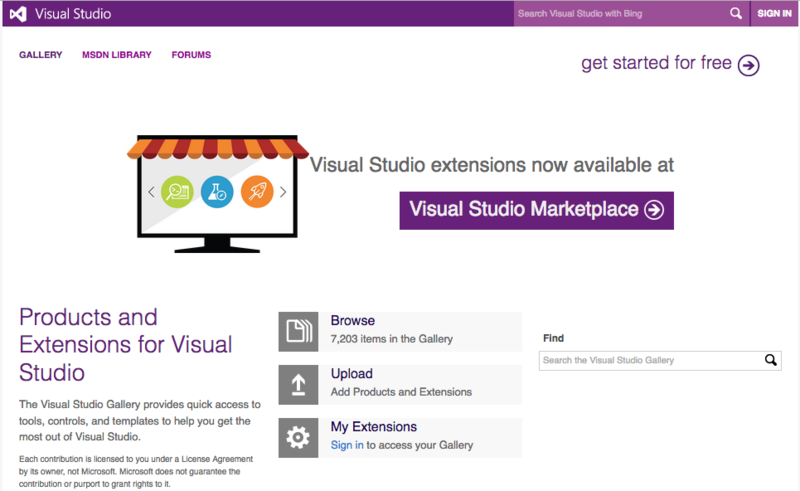 (In November 2006 I started to blog about Visual Studio Extensibility (VSX) with add-ins). Two years later Visual Studio 2012 was introduced, which arguably has been the most unfortunate Visual Studio version ever released. It removed colors from the user interface (and even separation lines during the betas), it used upper-case top menus (all of this despite tons of complains) and from the extensibility point of view, it removed macros, a very controversial decision that reached 6,000 votes to bring them back on UserVoice (something that happened some years later in the form of an extension for VS 2013/2015). I think that even Microsoft realized that Visual Studio 2012 was quite disappointing, because it released Visual Studio 2013 very fast, only a year later instead of the usual 2 or 3-year cycle. Some color was brought again with themes (not too enough color for me, though), but, alas, for developers of add-in there was bad news: add-ins were still present, but officially deprecated. Packages were the primary form of extensibility for Visual Studio and finally Microsoft decided it was time to get rid of add-ins. Retrospectively I am glad of that decision because it forced me to learn packages, but it was a huge amount of work that required some thought and strategies. 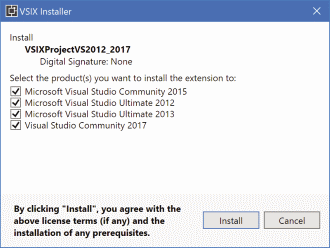 Visual Studio 2013 introduced big news for all developers: a free Community Edition that supported extensions, on the contrary to the former Visual Studio Express editions, a common request on UserVoice. Visual Studio 2015 also brought us async packages, new ruled-based UI contexts, the Image Service and Catalog to eliminate major pain points related to asset maintenance, high DPI scaling, and theming and a huge Visual Studio Image Library. It also provided “Roslyn”, that is, the C# and VB.NET compilers as platform, and open source, so you can leverage them to build Roslyn analyzers (live code analysis without building) and code fixes. 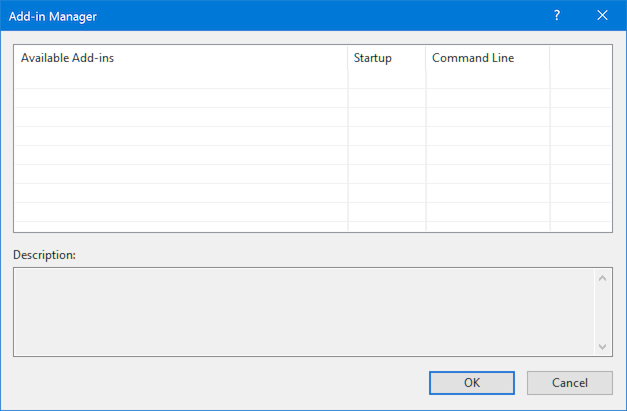 The Visual Studio 2017 version that was released on March 7 provides the Roaming Extension Manager, something that was available originally for Visual Studio 2015 as an extension. It also provides also a very light setup, very isolated and resilient, that requires some changes in extensions. A handy feature for VSX developers is that now the Community, Professional and Enterprise editions can coexist on the same computer, which allows you to test your extensions on all those editions without requiring additional computers or virtual machines. Finally, the Visual Studio Gallery is in the process to be transformed into the Visual Studio Marketplace. 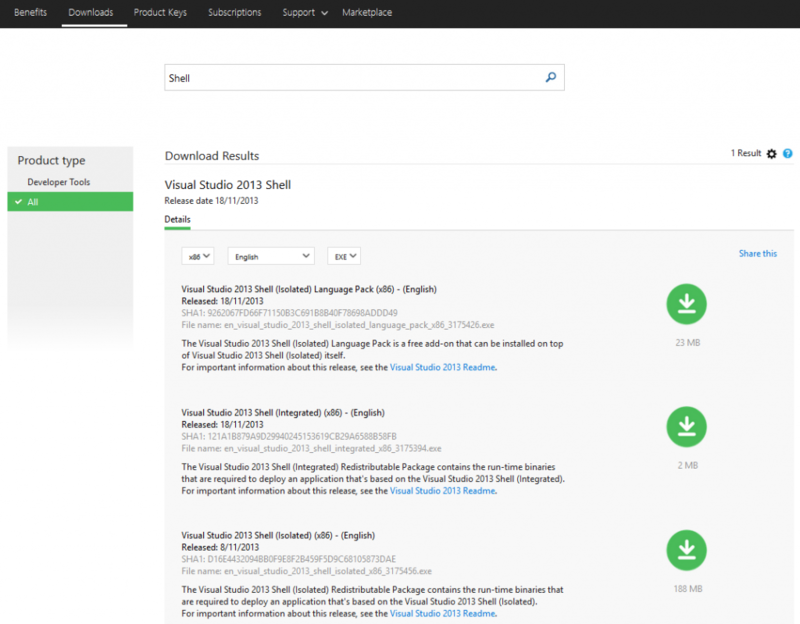 For Visual Studio currently it only allows to download extensions, while the publishing is still done on the Visual Studio Gallery, something that will be migrated in the next months. For many years VSX was hard due to difficult APIs and lack of documentation and support, but now you have much better documentation, tons on samples on GitHub, including real extensions, tons of VSX developers, and several forums such as the veteran MSDN Visual Studio Integrate forum (still my favorite that I visit daily), StackOverflow or the more recent and very active Gitter (Microsoft/extendvs) chat room. 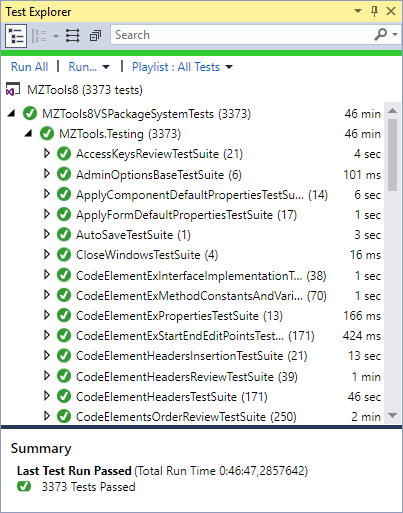 So, it has been a long journey for Visual Studio extensibility until today and likely I have forgotten some milestones. But one thing is sure: this is the best moment to be a VSX developer. Happy Birthday, Visual Studio!